To be honest, it sounded a little bit too much like a rip-off. This is where it really started to get interesting: by virtue of its mere existence, Bitcoin was prone to raising questions about the nature and value of money itself, and when you start thinking long and hard about these questions, you start to realise things about money in general, whether physical or digital in nature. There’s nothing intrinsically valuable about any currency. The reason currency works as something that we can trade goods and services for is basically a shared delusion: we’re all agreeing that these printed pieces of paper are imbued with a form of magic that render them more valuable than the material they’re made of. In most cases, we all explicitly or implicitly agree that only a handful of institutions have the magical powers to produce these pieces of paper — that’d be the central banks. But there’s nothing intrinsic or natural about that, it’s all rather arbitrary. With Bitcoin, the primary difference is that these magical powers are distributed rather than centralised: it is a global network of “mining nodes” that has the capacity to produce these magical bits that some people hold to be valuable. That’s the thing about money that tends to fade into the background of us using it on a daily basis: the only reason anything functions as a currency is basically because of our shared agreement of accepting it. If you convince enough people of using whatever item you hold as a translator for the trade of various objects, boom, you got yourself a currency. Having lived earlier in Argentina for a couple years, I recalled hearing many stories about the various pseudo-currency models that organically emerged in the wake of the 2001 financial and monetary crisis they experienced: merchants and communities going off the peso entirely and just printing out their own coupons which, over time, began to behave as tradable pseudo-currencies. Just as these coupons, to me Bitcoin was further evidence on the arbitrariness and fragility of currencies. I didn’t learn much more about it until I was at SxSW 2015, where it was impossible not to stumble into conversations regarding Bitcoin. The one conversation that really struck a chord with me, though, was a presentation by Mikkel Krogsholm on the Blockchain and distributed autonomous cooperations/corporations (DACs). This was the first time I was hearing about the Blockchain. There are many explanations out there of what the Blockchain is that are better than anything I could say, so I’ll only say this: the Blockchain is the permanent, encrypted, and certified record of all Bitcoin transactions, ever. Transactions are stored in blocks, and Bitcoin mining nodes are locked in an ongoing race to package the latest block and add it to the chain. 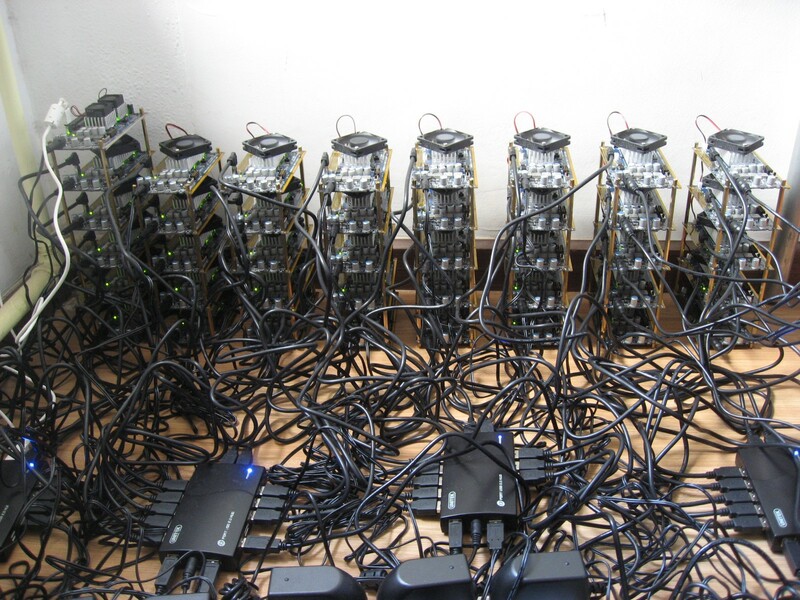 The first miner to do this gets a payoff in Bitcoin, which is the incentive to miners to collectively maintain the network, process transactions, and “issue” more Bitcoins. This is where I became really interested. The Blockchain was the mechanism that allowed large-scale distributed cooperation for thousands of parties who need not trust each other, but just need to trust the algorithm that they can (in theory) verify and compile for themselves. Because this financial structure is basically code, and was born as code, there are infinite ways in which you can potentially build on the Blockchain. You could build entire new banks that existed only as code and used the Blockchain as their backend. You could write software to buy and sell goods and services automatically and make and collect payments between Bitcoin addresses. You could set up smart contracts (also about the first I heard about these) that are triggered upon events registered on the public Blockchain. And inevitably, this was a throwback to Lawrence Lessig’s idea that code is law, and law is code. With the caveat that now humans could write themselves out of it. Shortly thereafter, I had the opportunity to participate in IDEO’s Bits+Blocks colab and meet some really cool people working and thinking about this space, including folks such as Andreas Antonopoulos, people at the MIT Digital Currency Initiative, and IDEO Futures, amongst many others. That’s about the time when I started to see past the hype and understand the real opportunities and challenges for digital currencies, Bitcoin, and the Blockchain. I read through Satoshi Nakamoto’s original whitepaper on Bitcoin, and began to acquaint myself better with the language and the technology (i.e. “what’s the difference between a blockchain and the blockchain?”) and to explore what would be some interesting use cases. We had a chance to think about big picture issues such as memory and identity, and how these are inscribed in the digital world — resulting unintentionally in a small exploration around digital death, and expressing identity and decisions through code. 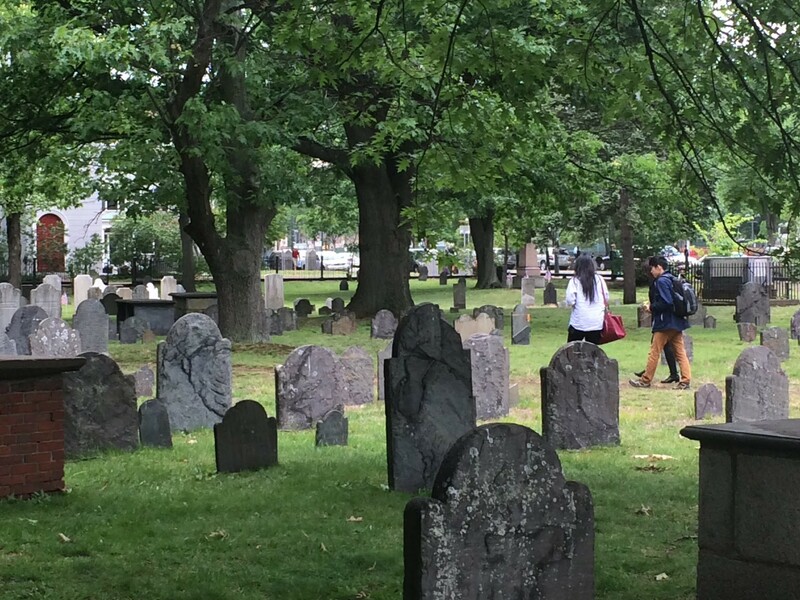 There’s no better way to think about digital identity than by strolling through a cemetery. Ever since, I’ve become a Blockchain enthusiast. But it’s largely because, to me, there’s an important logical flip to be made: it’s not so much that Blockchain is the underlying technology sustaining Bitcoin. Rather, it is Bitcoin that operates as an incentive mechanism for the preservation and continuation of the Blockchain. Blockchains are interesting because they present us with a new way to think about governance and how we think about organisations, what they are, and how they exist. They establish minimum thresholds for trust that make it easier for different parties to make transactions with each other. It is not so much that Bitcoin and Blockchain create a trustless network, but rather that they make it possible for the network to operate with a minimum of trust. As long as I trust the algorithm powering the network, I can make transactions even if I have no idea who’s on the other end. The cryptographically verifiable and certifiable nature of the Blockchain is enough for me to trust things will work out. That’s also why I think the most interesting use cases for Blockchain application need to come from environments were trust is extremely scarce. For example, my own country, Peru, has experienced a long history of public corruption that has not only cost Peruvian taxpayers billions of dollars, but it has also contributed to establishing a generalised environment of mistrust. As a result, governmental procedures need to comply with various complex layers of accountability to provide as much of a guarantee as possible that there’s no foul play — which makes government slow and conservative, creates additional transaction costs to government action, and most importantly, it doesn’t actually work. Blockchain-based, or at least Blockchain-inspired systems and applications could change that. We can imagine government procurement services that were digital in nature, where companies and individuals providing services to government agencies could be easily and quickly vetted for elligibility by verifying their transaction history in a public Blockchain. Smart contracts could be set up so payments are made to contractors upon fulfillment of predefined milestones, and payments could be made automatically and almost instantly using digital currencies. By setting up a system like this, contractors would not have to wait for months until their paperwork is cleared so they can receive a payment, reducing the risk of providing services to the government and expanding the range of possible contractors agencies can engage with. On top of that, the entire transaction history is public and auditable on the public Blockchain. You can also imagine how Blockchains can affect how we think about ID. I’ve long been fascinated with creating a Blockchain-based international form of ID that would create traceable, verifiable trust thresholds facilitating international travel. Travel visa evaluation and issuing systems create a lot of global inefficiency and create a huge cost, especially to people in the developing world forced to prove themselves innocent upfront. But if we were able to codify international travel as transactions on a Blockchain-based-or-inspired application, we’d be able to easily verify things about travelers on the go. Has this person come here befoe? Do they have any other visas? Are the requirements for the visas they hold equal to or higher than the visa to enter this country? A common framework would make it easier for people to move around the world by building on their previous record of positive interactions, while eliminating a massive personal cost on people having to produce and present sensitive personal documentation at consular offices, and an additional cost to taxpayers of having to sustain these consular offices and their activities. I’m excited about Blockchain because it gives me tools to think about ways in which big problems can be made better. But I’m very much aware of the fact that it’s still a very early stage and there are massive challenges to overcome. Just recently, the Bitcoin community was shaken by the announcement from a prominent member that the community was failing to effectively address the issue of scaling, and how existing stakeholders had perverse incentives to not improve the system to keep it constrained to a limited number of players — an important reminder that, regardless of how autonomous and distributed these technologies are, there are still humans with very different agendas behind the algorithms. Nonetheless, I remain cautiously optimistic, and especially curious. There’s a lot that remains to be experimented and tested with these technologies, and my personal sense is that there’s more value to be found in contexts where weak institutions and precarious infrastructure have led to gaps in trust and accountability. But it’s especially important to look beyond the hype, both from the venture capital flowing into the space and from the media coverage eagerly surfacing movie-like scandals. And it’s almost as important to look beyond the technology and to consider the societal implications: how we think about money, value, transactions, organisations, and governance, amongst many other big, confusing words. Perhaps the reason why I remain fascinated with Bitcoin is because it’s as much a technology as it is a philosophy problem.